Awesomeness comes in boxes. — Tree House Brewing Co.
Today we received two things we have long been working very hard to acquire. 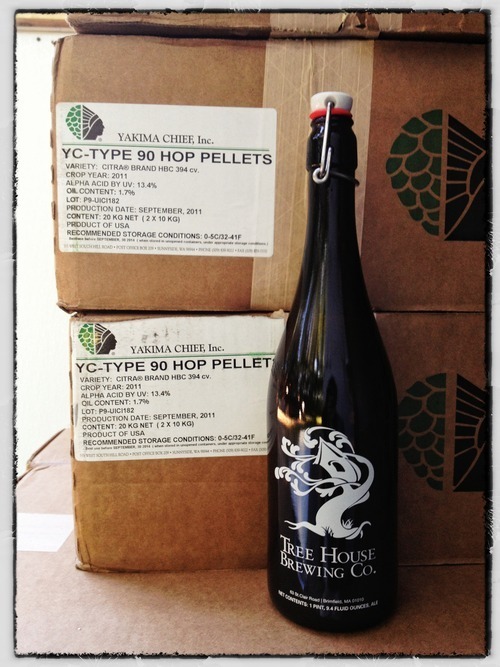 220 lbs of Citra hops and beautiful, screen-printed refillable swing-top bottles. Citra will be available for some time to come and our bottles will be available immediately, starting this Saturday !